There’s nothing like seeing our products up close and personal before placing an order. Generic samples (random artwork that we have on file) can be purchased at the 100 pc price unless the item is NON-EQP. NON-EQP items can be purchased at the 1 pc price. Origaudio does not accept returns on sample orders. To order a spec or self-promo sample, please email here. Did you absolutely fall in love with our brand new Finley Mill and Barrow Collection? Then this deal is definitely for you! If you order random samples of the entire Finley Mill or Barrow Collection (or both), you’ll receive a sweet discounted pricing. Please see the flyers below, and reach out to <ask@origaudio.com> with your PO. 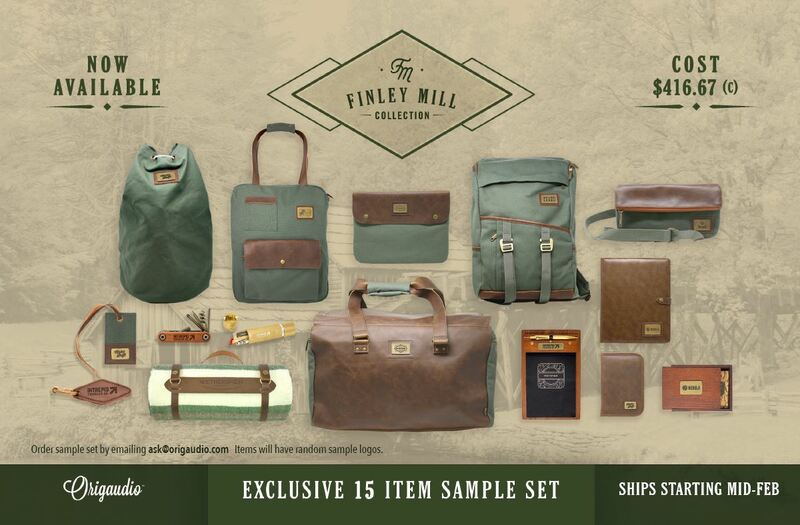 *The “Credit-Back” offer for Sample Kits does not apply to the Finley Mill Collection and the Barrow Collection. **One kit limit per person. ***Lloyd hat not included in the Finley Mill sample kit. 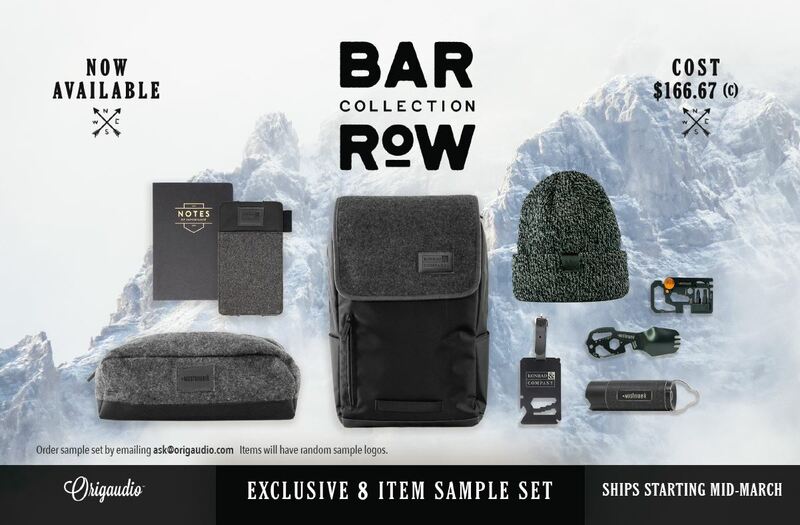 Free 2019 Sample Kit- How Does It Work? Here’s your recipe for selling awesomeness:  Purchase one of our kits. Within 90 days of receiving the kit, submit an order of equal or greater value of the kit you purchased and get the full cost credited back to you (any additional customization costs excluded). Please note on your order the credit amount and PO number of the sample kit purchase. Continue showing off your free Origaudio kit and get more orders in the process. It’s the kit that keeps on giving! Want to check out our new items? We’ve got you covered. Please note these kits are limited to 1 kit per company and items may change based on available inventory. *2019 New Product Sample Kit does not include the Hovington, Didgaband, Lunatune, Aquathump, Aaytee, and Lloyd Hat. ** The PO must be submitted within 90 days of receiving majority of the products for the “credit-back” offer to be valid. You’ve browsed the site and said to yourself multiple times “I love these products, and I really want to get samples to show them off!” But let’s face it. We’re all busy, and we forget to do what we want to all the time. Well, now’s your chance to score a super sweet deal, and we’re making it as easy as possible on you.